This wonderful novel is about sexual discrimination in the aviation area in the early 90s. I would like to think that we've come a long way with women's rights since the early 90s but some of the situations in this novel are still happening to women in the workplace today. Tris wanted to be a pilot. She gave up her teaching job to fly for a small airline but was relegated to a position as first officer with no idea when she would be promoted to captain. She takes a job with a company that flew corporate flights and had a bigger airplane that would enable her to learn even more and put her goal of becoming a pilot closer to reality. 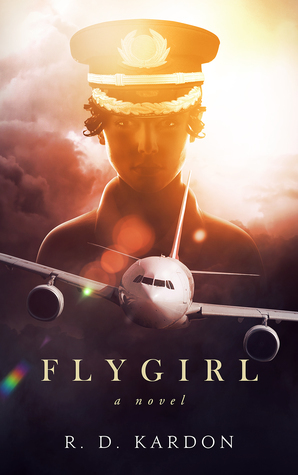 She is faced with discrimination from the male pilots at every turn - from them noticing her physical attributes instead of her ability to fly to being talked down to because she was a woman. 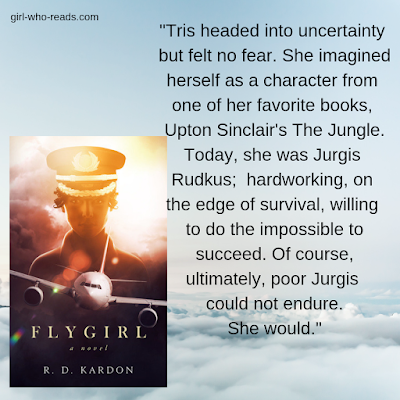 Tris keeps her eye on the prize - her goal to become a pilot - and despite her personal demons, shows her skill as a pilot on every trip she takes. This was a very enjoyable novel full of very real people. It was interesting to see Tris fight the battle of workplace discrimination on a daily basis and to see her continue to fight to achieve her dream. It was very interesting to read about flying and the author went into a lot of interesting detail about piloting an airplane. Overall the best part of the novel was the character of Tris who continued to follow her dreams dispute the roadblocks that were put in her way by her male counterparts.